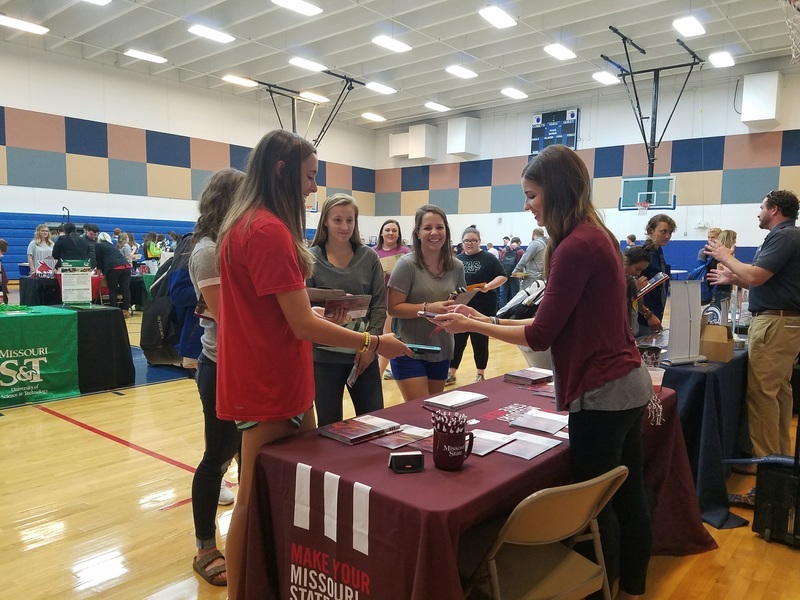 Alton High School hosted a MOACAC sponsored college fair on Thursday, September 7. 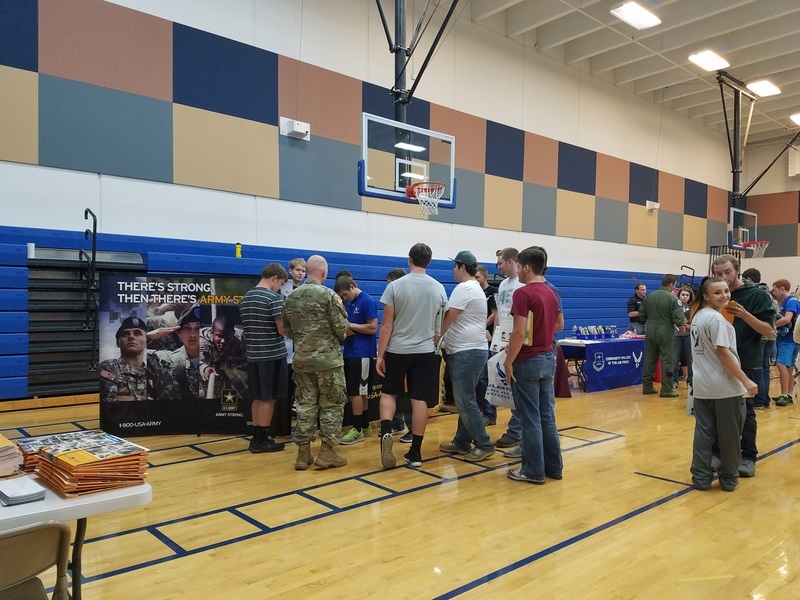 Students in grades 9-12 at Alton and students from both Winona and Couch High Schools had the opportunity to visit with college, career center, and military representatives. 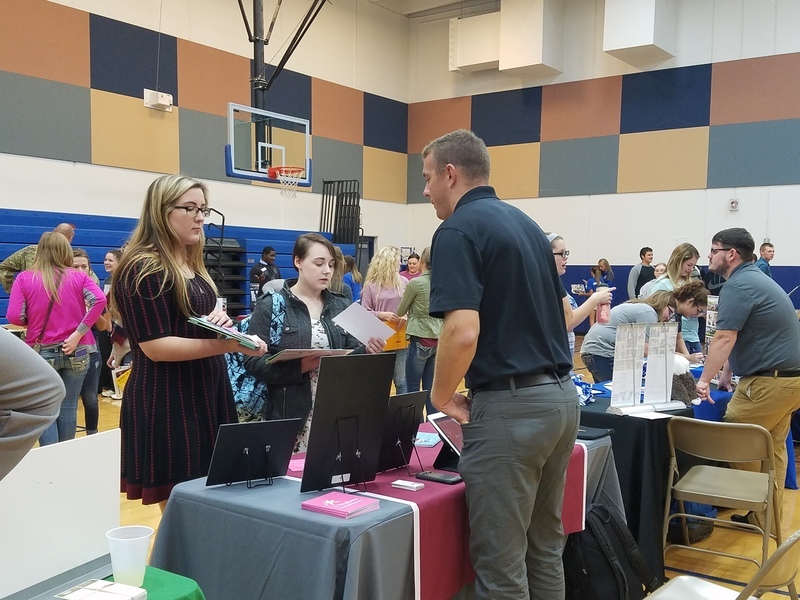 Over thirty different schools and programs were represented. 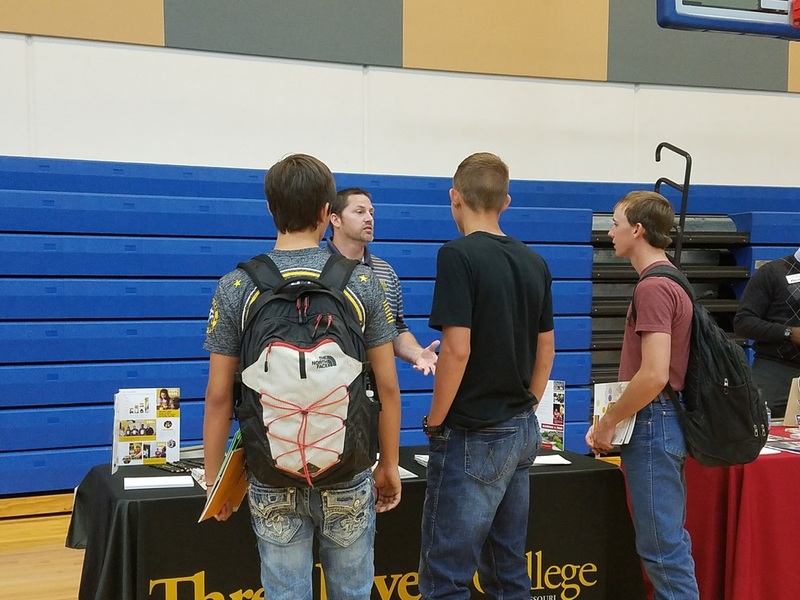 The recruiters bragged on how great the students were and spoke about the wonderful questions they asked. 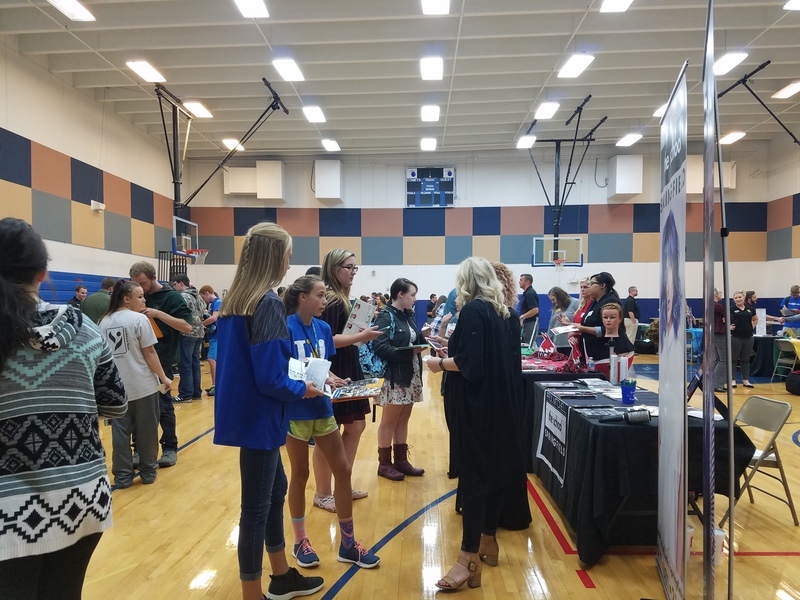 Mrs. Gilliland would like to thank the students who helped with the college fair by greeting and serving, the custodial staff who set the FEMA building up, and Mrs. Granger and her students for the hospitality room food and clean-up. Overall, it was a great success. 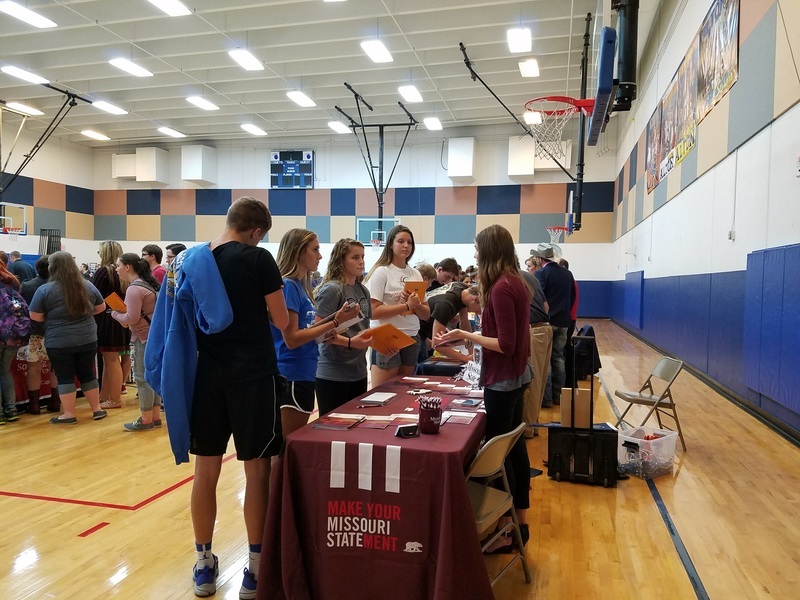 Next year, the college fair will be held at Winona. 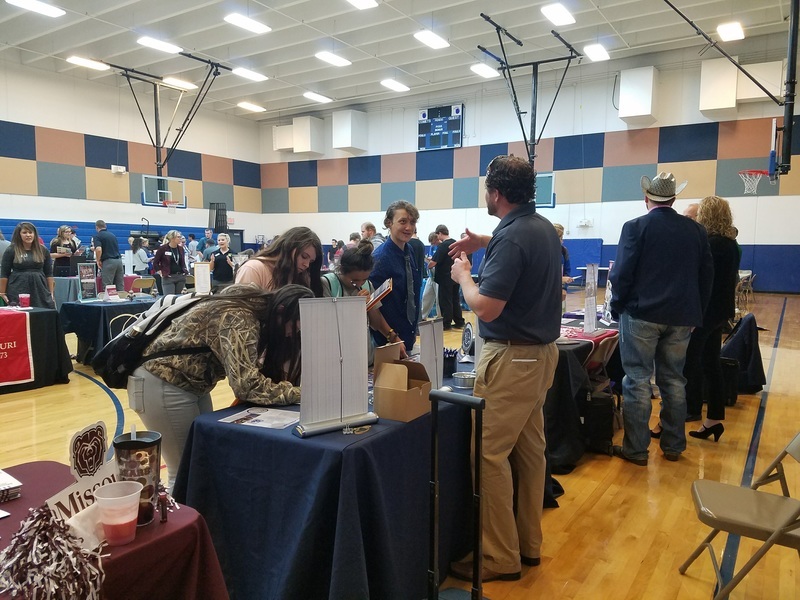 Looking forward to another fantastic fair next year.